We have before us this week another healing story as the One who brings God's reign explodes into ministry with God's life-giving power! This time it is an unclean leper who comes to Jesus. 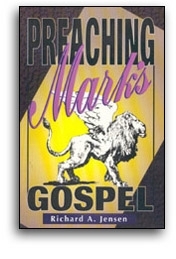 This has been characteristic of the healings and exorcisms in Mark's first chapter: people come to Jesus for help. One wonders at times if this is Mark's story-formed way of telling us what faith is. Faith is people in deep need who come to Jesus in their desperation! In the case of the leper we could add to this definition.